← Should Data Centers Attempt to Achieve a Single Pane of Glass for DCIM? 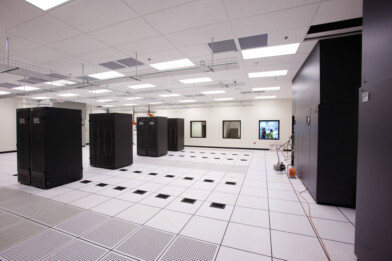 Many data centers operate with high density server racks for a variety of reasons. Perhaps they want to maximize their space by increasing the density of their racks so that they do not outgrow their data center walls. Perhaps it is a strategy to concentrate power, and therefore heat, in an attempt to more specifically cool areas as an attempt at improved cooling efficiency. No matter the reason , many data centers have extremely high PDUs, sometimes without even realizing it, and without realizing it, it can be incredibly challenging to appropriately cool a data center. This dilemma is often the source of outages and downtime, two things no data center wants to experience. No doubt about it, the pressure is on data center managers to run a high density data center that are also highly efficient and able to sustain their power needs. No small or simple task by any means. So, what is a data center manager to do? How can you achieve high density, high efficiency and high efficacy all at once? Is it even possible? Yes, but data center managers must make it their priority to have a full working knowledge of their data center, power density capacities, best practices when it comes to cooling and more and then devise a strategy with contingencies so that if the unexpected arises there is a plan in place. First and foremost, a data center manager must have knowledge of what a data center’s rack power density maximum capacities because without this knowledge first a data center will always be playing catch up. Catch up leads to outages and downtime so it is simply unacceptable. Once a data center manager has knowledge of power density maximum capacity they can work to ensure it is not exceeded. This alone will prevent a significant amount of problems. Additionally, by understanding maximum capacity a data center manager can make appropriate cooling arrangements. They will also be able to accurately determine what backup power and redundancies are needed to mitigate downtime. With a full working knowledge of data center power densities and cooling needs, alternative cooling methods can be explored to determine whether or not they would be more efficient or effective. If power density maximums are being pushed or exceeded additional server racks or space may be needed because pushing or exceeding the limits may temporarily save space but it will create major problems going forward. Outages, downtime, damage and more could be experienced if power density maximums are exceeded so the temporary solution was never really a solution at all. Once a strategy and plan is in place, the entire data center team and all other appropriate personnel should be well informed and trained because without communication problems will continue to arise. High density racks are a good strategy for data centers who want to maximize space and efficiency but for it to be effective a full working knowledge of data center abilities and capacities must be known and appropriate cooling methods must be executed. This entry was posted in Back-up Power Industry, computer room construction, Computer Room Design, data center cooling, Data Center Design, data center equipment, Data Center Infrastructure Management, DCIM, Power Distribution Unit and tagged data center cooling, data center design, data center equipment. Bookmark the permalink.